As we previously reported, Alita: Battle Angel is being heavily marketed as a “cinematic 3D event”. Shot in native 3D and produced by 3D mastermind James Cameron, it’s an important part of the film’s theatrical run. To make sure theaters don’t screw up the actual 3D projection, director Robert Rodriguez and Producers James Cameron and John Landau have taken a rare step by leaving a message to projectionists about which 3D file to play. To add some context, movies get distributed in hard drives. Those hard drives contain various digital files which can then be projected onto the big screen. Since the film won’t be projected the same way in all auditoriums, there are separate files for 5.1 and 7.1 audio, for 2D and 3D projections and for open and closed subtitles. However, not all 3D projectors are the same. Some can project 6 and some only 4.5 units of luminance, depending on the technology. So the studio sends out separate files for each. If the file intended for weaker lighting is projected on the stronger one, the image will look dim. Vice-verse, the one intended for the stronger projector played on a weaker one will cause an overly bright image. That’s the scenario the filmmakers want to avoid, which is why they attached the following message on the projectionist letter. Although it would be easy to dismiss the filmmakers as paranoid and overly attentive to levels of brightness, their concern isn’t unfounded. In the age of digital projection, many theaters don’t monitor for proper projection as most of it is automized. One of the few steps that must still be done by a human is the step of inserting files into a theater’s server. Attaching the message in the paper intended for that human is a logical step to avoid theaters accidentally projecting the wrong file and causing a dim or bright 3D experience. It’s not the first time filmmakers have left notes on digital projectionist sheets. Oliver Stone indicated his preferred audio level for Snowden. Warner Bros. indicated how theaters can zoom in properly to avoid black bars for Dunkirk, which had an unusual aspect ratio. And famously, Disney let theaters know that those few seconds of silence during hyperspeed in Star Wars: The Last Jedi were intentional and not sound failure. Overly dim projections are an issue, especially with movies such as Alita which have setpieces that take place at night. Last year, multiple theaters complained about dimness in screening of Solo: A Star Wars Story, which has similar scenes set in dark environments. AMC told IndieWire last year that the chain has “Digital Cinema Managers” in some of their locations. However, at those that don’t as well as other theater chains there will often only be a corporate phone number available to help in case projection is faulty. 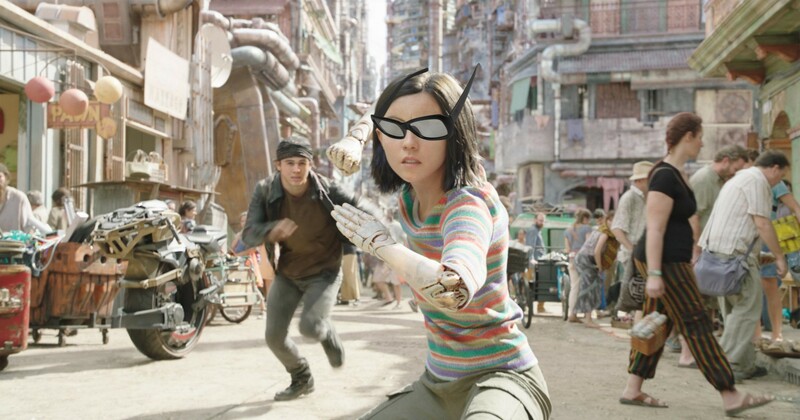 Although the studio really wants you to see Alita: Battle Angel in 3D and even took out a Super Bowl spot to remind you that the film was one of those that “must seen on the big screen” and anew calling it the “3D event of the year”, you might not find too many 3D showtimes in U.S. theaters. A certain other 3D movie called The Lego Movie 2 is coming out mere days earlier on February 8 and will be taking some 3D screens. As a silver lining for Fox, 3D is more popular overseas anyways where it has already opened in a few markets. If you’re in the U.S. and want to see the film in 3D before it opens, there will be “3D fan events” on February 11 and 12. On Tuesday, T-Mobile will also offer Atom Ticket codes for the film which reduce a ticket cost to $4 as part of their T-Mobile Tuesdays series on the February 12. Alita: Battle Angel officially opens in the U.S. on February 14. The film is produced by James Cameron’s production company Lightstorm Entertainment.